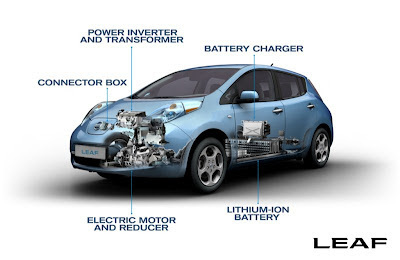 An electric battery is a device (called a cell) that converts stored chemical energy into electrical energy. It was invented by Italian physicist, Alessandro Volta in 1800. There are two kinds of batteries: primary batteries and secondary batteries. Primary batteries are batteries that are designed to be used once until the stored charge is all used up. Once the battery is empty, it is discarded. Primary batteries are also known as disposable batteries. Secondary batteries are also called rechargeable batteries. As the name implies, these are batteries that can be recharged multiple times when needed. The Edison battery is a secondary battery that is composed of a nickel-oxide-hydroxide cathode and an iron anode. It is referred to as a nickel-iron(NiFe) battery. 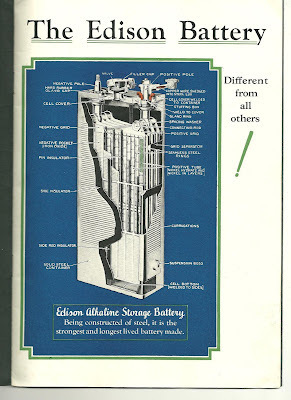 The active materials of the Edison battery are held in nickel-plated steel tube. These are known to be very durable batteries that could last 50 years of use. But because of its low energy output, poor charge retention and high cost of production, other kinds of rechargeable batteries have replaced the use of nickel-iron batteries. Edison batteries are ecological and environmentally safe since it does not contain lead or cadmium that most other battery cells contain. Stanford University scientists have breathed new life into the nickel-iron battery, a rechargeable technology developed by Thomas Edison more than a century ago. "The Edison battery is very durable, but it has a number of drawbacks," said Hongjie Dai, a professor of chemistry at Stanford. "A typical battery can take hours to charge, and the rate of discharge is also very slow." Now, Dai and his Stanford colleagues have dramatically improved the performance of this century-old technology. The Stanford team has created an ultrafast nickel-iron battery that can be fully charged in about 2 minutes and discharged in less than 30 seconds. The results are published in the June 26 issue of the journal Nature Communications. "We have increased the charging and discharging rate by nearly 1,000 times," said Stanford graduate student Hailiang Wang, lead author of the study. "We've made it really fast." The high-performance, low-cost battery could some day be used to help power electric vehicles, much as Edison originally intended, Dai said. "Hopefully we can give the nickel-iron battery a new life," he added. Edison, an early advocate of all-electric vehicles, began marketing the nickel-iron battery around 1900. It was used in electric cars until about 1920. The battery's long life and reliability made it a popular backup power source for railroads, mines and other industries until the mid-20th century. Edison created the nickel-iron battery as an inexpensive alternative to corrosive lead-acid batteries. Its basic design consists of two electrodes – a cathode made of nickel and an anode made of iron – bathed in an alkaline solution. "Importantly, both nickel and iron are abundant elements on Earth and relatively nontoxic," Dai noted. Carbon has long been used to enhance electrical conductivity in electrodes. 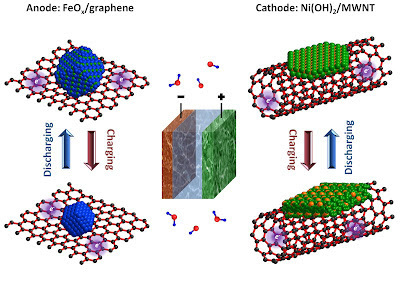 To improve the Edison battery's performance, the Stanford team used graphene – nanosized sheets of carbon that are only one-atom thick – and multi-walled carbon nanotubes, each consisting of about 10 concentric graphene sheets rolled together. Stanford scientists have developed an ultrafast Edison battery by growing iron oxide crystals on graphene sheets and nickel hydroxide crystals on multi-walled carbon nanotubes. "In conventional electrodes, people randomly mix iron and nickel materials with conductive carbon," Wang explained. "Instead, we grew nanocrystals of iron oxide onto graphene, and nanocrystals of nickel hydroxide onto carbon nanotubes." This technique produced strong chemical bonding between the metal particles and the carbon nanomaterials, which had a dramatic effect on performance. "Coupling the nickel and iron particles to the carbon substrate allows electrical charges to move quickly between the electrodes and the outside circuit," Dai said. "The result is an ultrafast version of the nickel-iron battery that's capable of charging and discharging in seconds." The 1-volt prototype battery developed in Dai's lab has just enough power to operate a flashlight. The researchers' goal is to make a bigger battery that could be used for the electrical grid or transportation. Most electric cars, such as the Nissan Leaf and the Chevy Volt, run on lithium-ion batteries, which can store a lot of energy but typically take hours to charge. "Our battery probably won't be able to power an electric car by itself, because the energy density is not ideal," Wang said. "But it could assist lithium-ion batteries by giving them a real power boost for faster acceleration and regenerative braking." The enhanced Edison battery might be especially useful in emergency situations, Dai added. "There may be applications for the military, for example, where you have to charge something very quickly," he said. "It's definitely scalable," Wang said. "Nickel, iron and carbon are relatively inexpensive. And the electrolyte is just water with potassium hydroxide, which is also very cheap and safe. It won't blow up in a car." The prototype battery has one key drawback – the ability to hold a charge over time. "It doesn't have the charge-discharge cycling stability that we would like," Dai said. "Right now it decays by about 20 percent over 800 cycles. That's about the same as a lithium-ion battery. But our battery is really fast, so we'd be using it more often. Ideally, we don't want it to decay at all. "The use of strongly coupled nanomaterials represents a very exciting approach to making electrodes," he said. "It's different from traditional methods, where you simply mix materials together. I think Thomas Edison would be happy to see this progress."